We have a new Smokey Bones restaurants coupon for you today! 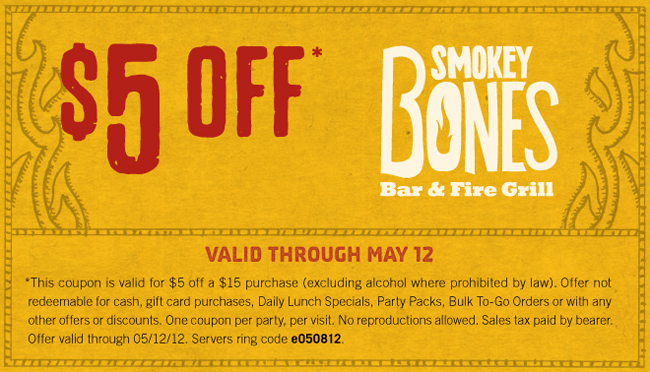 This Smokey Bones coupon is good for $5 off your purchase of $15 or more. You might want to take mom out for an early Mother’s Day treat! This Smokey Bones coupon is good to use through May 12th 2012.